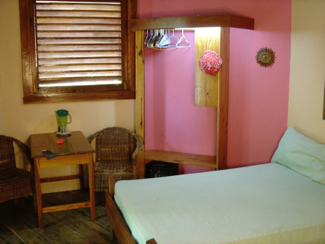 You will find a true Jamaican Vibe when you relax in one of Whistling Bird's cottages. 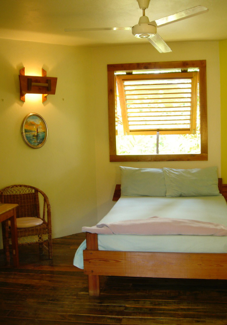 All of the cottages are named after Jamaican birds and as you step inside, you are invited by unique architecture with an extensive use of wood and local art. Oversized walk in shower are reminiscent of natural rain or a waterfall setting. 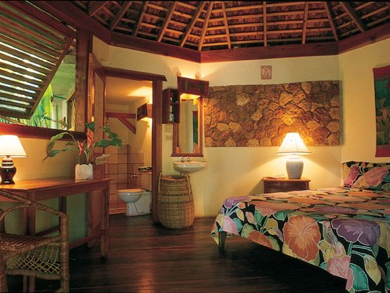 In the overall design of the various cottages, natural recourses have been incorporated including Bamboo, rock, and native woods. 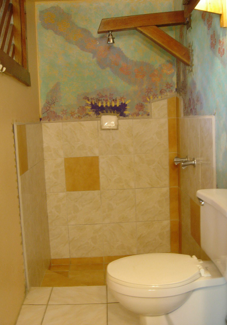 The design is natural and also fresh and decorative. 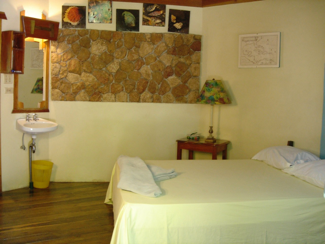 The bungalows are located amongst lush tropical gardens and nestled into private settings on the property. 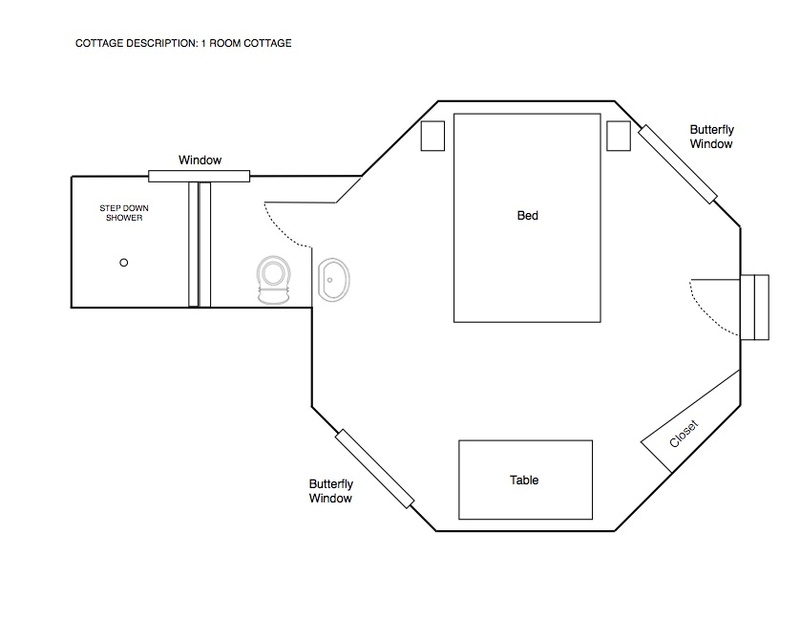 Cottages are available in a 1 room, 2 room or 3 room cottages. Housekeeping daily and friendly service always. A/C, free Wifi, room safe and for your convenience.